 Redland Baptist Church is a place where people can meet Jesus, engage in life-giving community, and everyone is welcome. We believe in creating a space where people can have authentic encounters with Christ, discover their gifts and use them for God's glory. Join us for our Sunday services! A typical service will last about 60 minutes. We sing a good mix of music that is led by our worship team. There is childcare available for for infants and toddlers, during the services and activities for all age groups between services . Plan to hang around after the service for fellowship and meeting new people. We suggest you arrive about ten minutes before the worship service (or Sunday school class) begins. This would give you plenty of time to find a convenient parking place, check out our children’s ministry area, and find the right seat in the sanctuary. If it’s a crazy morning and you’re running late, don’t let that keep you from joining us! We understand that sometimes it’s just “one of those days,” and perhaps those are the most important ones for getting together with friendly people to worship and be rejuvenated. You’ll find a wide variety of dress at Redland. Some prefer to wear a suit and tie or a skirt and blouse, while others are more comfortable dressing casually, wearing jeans and a polo shirt. So feel free to come dressy or casual. You won’t have to change your wardrobe to worship here. We know that as a parent you need be sure that your children are in a safe learning environment. And we know that your children are looking for a fun place to learn. We’ve invested a lot to make sure that both of these goals are reached. You’ll see that in the areas the children meet in, and even more in the volunteers who work with your kids. Our children’s ministry volunteers love working with children, and it shows! Our youth ministry, much like the children’s ministry, is filled with dedicated volunteers who love to invest themselves into the lives of teens (specifically, 6th-12th grades). The youth meet for grade-separated Sunday school class at 9:40am and attend the worship service along with adults. There are also other times (like Sunday evenings and Wednesdays) when the youth meet, too. At our 8:30am contemporary service we have a praise band who leads us in common worship songs that you’ll find on Christian radio stations. If you prefer traditional worship, you can join our 11:00am traditional service, where we sing classic, inspirational hymns along with a full choir and orchestra. We believe that the Bible is both exciting and relevant for our lives today, so that’s how the message is taught. Our pastor’s message is easy-to-understand and practical for dealing with real life. The goal is for you to come away with something that you can personally apply, a way for you to grow closer to the God who knows and loves you. Redland is a grace-driven church for a grace-needing world. We understand that people need God’s grace and love, and it’s our goal to show it. We are part of the Southern Baptist denomination, which has a long-standing tradition of loving God and showing his love to others. We also like to network with other churches in our area, even churches from different denominations. We aren’t in competition with them; rather, we’re on the same team, reaching out to communities with God’s love. We also believe the Bible is God’s word, and we strive to hold to it and teach it as best we can. We’re far from perfect, so if you’re looking for a perfect church just keep looking! We do take Communion as a way to remember the death, burial, and resurrection of Jesus Christ. This is something Jesus told his followers to do, so that we do not forget his sacrifice for us. Every other month we hold communion in our worship, which involves passing trays with small wafers and thimble-sized cups of grape juice. If you feel uncomfortable participating in communion that’s okay; you can pass the tray to the next person and simply use this quiet time for personal reflection. This is your chance to connect with God in your own way.